Red is associated with energy, strength, power and determination as well as passion, desire and love. Fuel your emotions and mind as well as your body while dining in style with this beautiful red quilted placement set. Categories: Christmas, Kitchen and Dining, Valentine's Day. 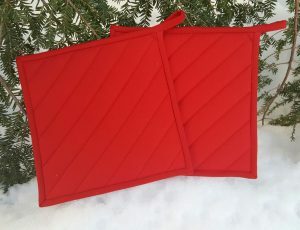 Tags: quilted placemat set, red quilted placemat, Valentine's Day gift. 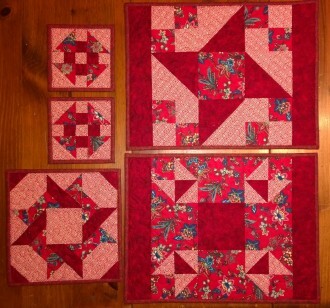 2 Placemats – 12 x 15 3/4 inches – one with Goose Tracks quilt block and the other a variation of Indiana Puzzle. 2 Mug Rugs – 5 3/8 inches square – with Churn Dash quilt block. 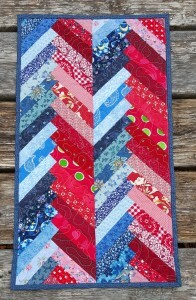 1 Table Topper or Hot Plate Mat – 9 1/4 inches square – with Frolic quilt block. 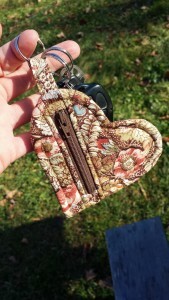 Each piece was made with cotton fabric and layered with a cotton batting. Machine wash, cold water, tumble dry on low heat, press with a warm iron as needed. “Pretty in Red” 5 Piece Placemat Set – $54.00 with Free Shipping within the United States.